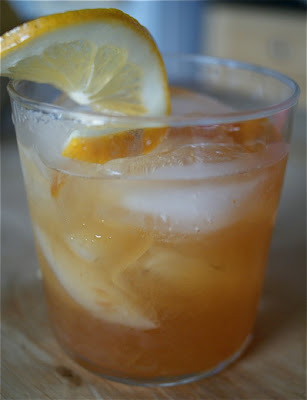 sfgirlbybay: Friday Food Files With Molly Watson: Cocktail, Anyone? Friday Food Files With Molly Watson: Cocktail, Anyone? Sometimes I trudge along, making the same-old same-old. And that's fine. Sometimes people need to be reminded that asparagus is delicious even if you just roast it, right? We all do that at our jobs. If we're hitting home runs everyday... well, maybe the job is a bit too easy for us, no? But this week I was reminded that sometimes brilliance comes. For me it came in the form of a marmalade bourbon sour. The better and more bitter the marmalade you use, the more tempting and dangerous these drinks will be. Serve them with salty snacks - salty crackers or cheesy crackers are a particularly good match with these sweet-yet-a-wee-bit-bitter cocktails. Play around with the proportions, add your own flair and let me know what you come up with. Cocktails are, I find, incredibly flexible and fun to play with. *Photo credits: marmalade bourbon sour courtesy of Molly Watson; Album cover photo courtesy of letslookupandsmile. mmm... that sounds delish - and dangerous! i just happen to have some homemade marmalade i can experiment with, and it IS friday, but i'll have to wait until after noon. ;) i have a crop of wild mint growing in our yard... any ideas for mint cocktails other than juleps? 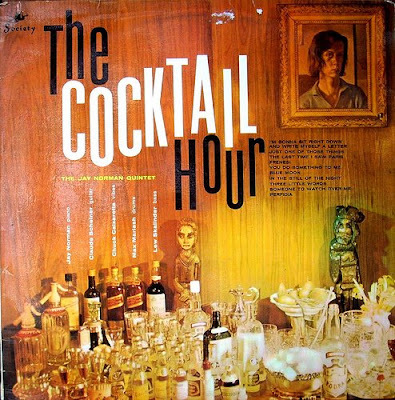 Love the album cover and love the sound of this cocktail! A customer dropped off some loquat preserve recently and I'm going to try it with that this evening. Sort of a lazy man's Old Fashioned. Thanks. Monaluna - You are familiar with the Mojito, aren't you? why am I not drinking one of these and eating salty snacks right this minute? oooh. I've been thinking about making a mint cocktail that is not a julep or a mojito.... but what? I tried making mint-infused vodka once. It tasted exactly like mouthwash. Any other ideas would be most welcome here and I'll work on them for you! WOW…I am loving this cocktail…at this moment! It is so dangerously gooooood. And unlike margaritas, this tasty little number can be served with a variety of foods. Thanks so much for sharing!